It's fall here in the US, and pumpkins are everywhere...so for this month, it is the star of Baking Partners Challenge! We were given three recipes to try, and I chose the Chocolate Pumpkin Cupcake with Orange Cream Cheese Frosting recipe from Country Living suggested by Priya R. of Cook Like Priya. These cupcakes are absolutely delicious and are perfect Halloween treats and Thanksgiving dessert as well. You'll surely love the wonderful combination of chocolate, cinnamon, pumpkin and nutmeg! The orange flavor in the frosting is also something to fall in love with! 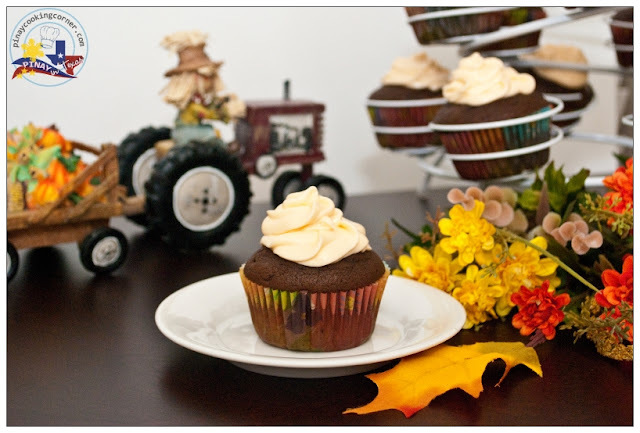 A truly great fall cupcake --- you should try it! 1. Heat oven to 375 degrees F. Line muffins pans with cupcake liners. 2. 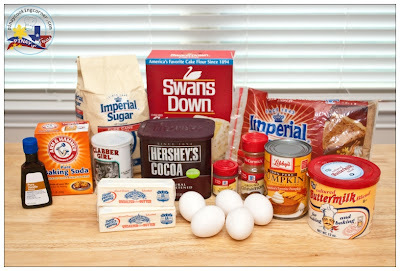 Make the batter: Sift the flour, cocoa, baking powder, baking soda, cinnamon, and nutmeg in a large bowl and set aside. Combine the buttermilk, pumpkin, and vanilla in a medium bowl and set aside. Beat the butter and sugar together in a large bowl, with an electric mixer set on medium speed, until fluffy. Add the eggs, one at a time, beating well after each addition, until the mixture is smooth and light. 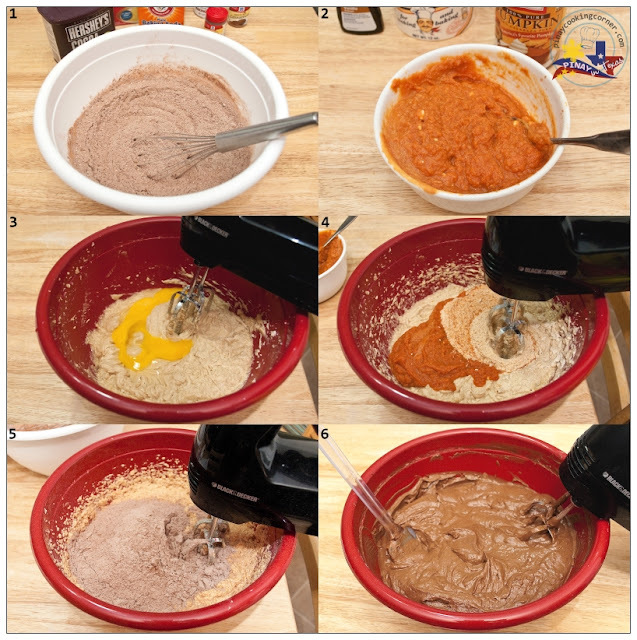 Alternately add the flour mixture and buttermilk mixture, blending well after each addition. 3. Divide batter evenly into prepared muffin cups and bake until a wooden skewer inserted into the middle comes out clean -- about 18 to 20 minutes. Cool the cupcakes in the pan for 5 minutes. Transfer to wire racks and allow to cool down completely. 4. 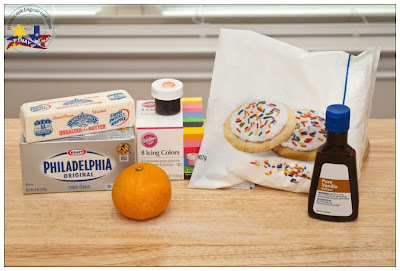 Decorate with orange cream-cheese frosting as desired. 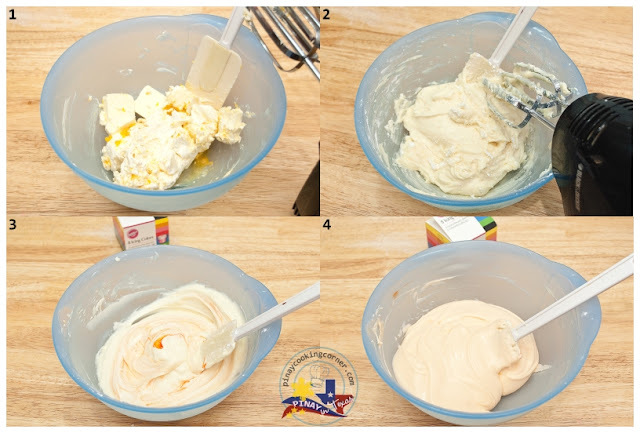 Blend the cream cheese, butter, orange juice, orange zest, and vanilla in a large bowl using an electric mixer set at medium speed, until smooth. Add the sugar and continue to beat until light and creamy -- about 3 more minutes. Add orange frosting color and mix well. Beautiful and delicious, glad you join the challenge. Love that cute cupcakes. So cute and looks amazing cupcakes Tina. My my!!! How I loved your cupcakes and the amazing holder. Beautifully done. what a lovely autumn recipe and presentation! pumpkin and orange go great together. wow what a wonderful combination and frosting! YUM! Chocolate and Cream Cheese YUMMY! Anything with cream cheese in it, makes me droooooool!! Your cupcakes look super delish. and the frosting on top looks wonderful. They tasted awesome right you have clicked the pic beautifully well baked dear. Oh my! 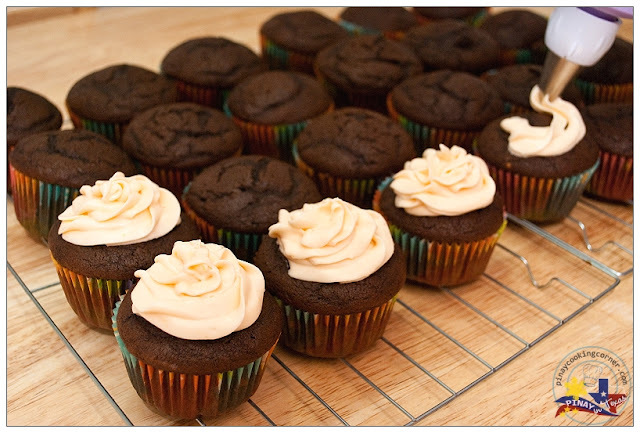 your cupcakes look moist and chocolaty, love the presentation. Perfect & beautifully frosted..Yummy chocolaty ones,Gorgeous!! Beautifully baked.. chocolaty and perfect,your pics are wonderful.. This blog is simply awesome! Tina, it's great to be back again! Awesome bakes & hope to see more of you. Take care! Fabulous cupcakes and that frosting - awesome! What a beautiful presentation! Soo easy to make and very good because they went very fast!! Super delicious cupcake and Love the way you presented them.. 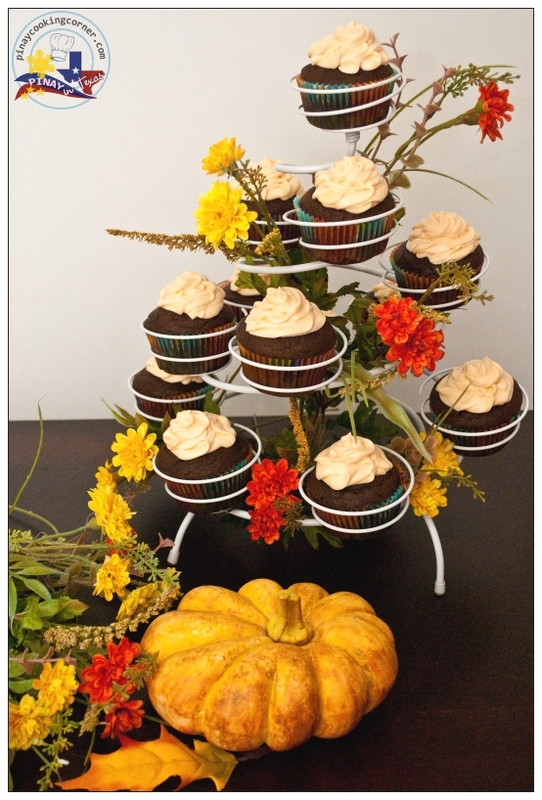 Such wonderful fall flavors...these cupcakes look fantastic (of course I would eat shoe leather with cream cheese icing!)! 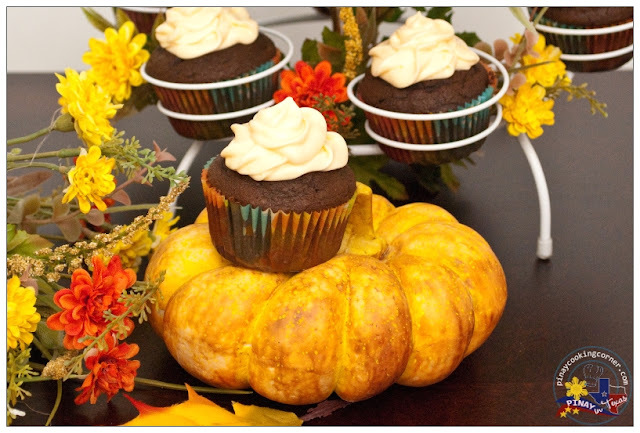 Hi Tina, your pumpkin cupcake look awesome, love the combination. And the cream cheese frosting look yummylicious. Lovely presentation. Have a nice week ahead.